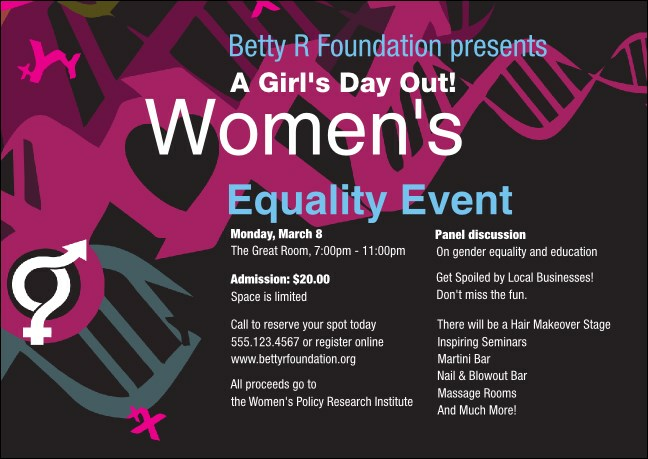 Change the face of women’s rights activism when you print Equality Postcards and promote your next gender equality event in advance. Each Postcard features twenty-three lines of blue and white text on a background that includes a colorful, fashion-forward yet diverse design in dark pink and gray. TicketPrinting.com helps you embrace diversity in advertising.